The International Joint Commission provided 32 recommendations for action at the federal, state, provincial and local levels of government in its 15th biennial report, released today (find it here). 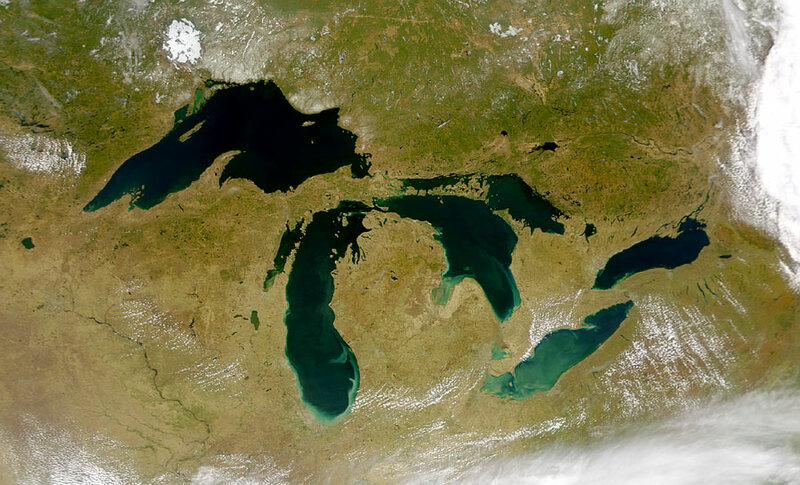 In particular, the recommendations focus on the need for the United States and Canada to approve a revised Great Lakes Water Quality Agreement (GLWQA) that addresses threats to water quality to prevent or reduce their impact on human and ecological health. Beach closings, harmful algal growth, contaminated groundwater and alien invasive species are examples of threats that are of greatest concern in the nearshore zone where most people live and get their drinking water and which provide vital habitat for fish and wildlife populations. But advocacy group Great Lakes United has already responded to the report, saying that the IJC’s recommendations aren’t strong enough. “As written the recommendations do not reflect the depth of discussion already taking place and they do nothing to speed the clean-up of toxics hotspots around the Great Lakes,” says John Jackson, director of clean production and toxics policy for Great Lakes United. GLU has its own recommendations, endorsed by 30 groups from across Ontario, Quebec, and the eight Great Lakes states. The Commission prepared the report as part of its responsibilities to assess progress toward achieving the objectives of the current GLWQA. The report addresses priorities that were the focus of scientific research and public engagement over the past two years. First signed in 1972, the Agreement was last revised in 1987, and the two countries announced in June 2009 that they would be engaging in negotiations to update this important bi-national blueprint for Great Lakes restoration. “In a revised Agreement, the governments must maintain the Commission’s role as an independent evaluator of progress towards cleaner Great Lakes, and critical research, monitoring, governance and regulatory policy needs must be addressed,” said Joe Comuzzi, Canadian co-chair of the Commission. The next biennial cycle is underway and the IJC invites members of the public to attend the 2011 Great Lakes Biennial Meeting, to be held October 12-14 at Wayne State University in Detroit, Michigan. For more on Great Lakes management reform, read “Finding Balance” in Water Canada’s March/April 2011 issue.